As California residents are forced to cut back their water use, some are outraged that companies bottling water there aren't asked to do the same. They've made a scapegoat of big names like Nestle, which operates five water bottling plants in California. Dozens of activists protested outside two of the plants last week and online petitions have garnered thousands of signatures demanding Nestle (NSRGF) halt its bottling operations. In fact, there are 110 water bottling plants in the state. 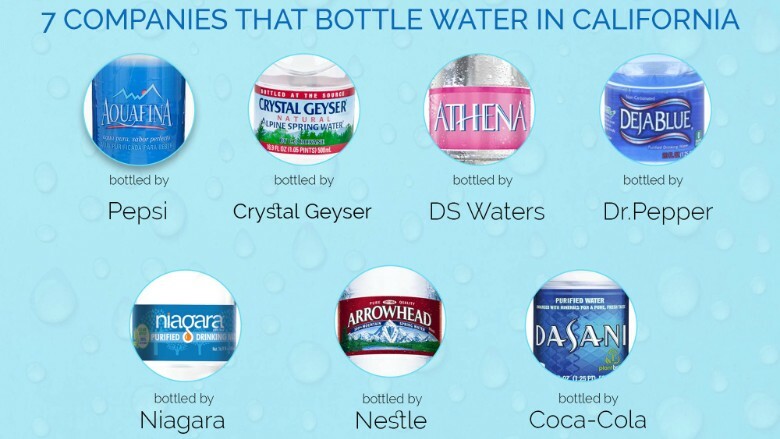 In addition to Nestle, others big bottlers include Pepsi (PEP), which bottles Aquafina; Coca-Cola (CCE), which bottles Dasani; and Crystal Geyser. But the thing is, the amount of water bottled in California is a tiny fraction of what the entire state uses. "It's a pretty small amount," said Tim Moran, a spokesman for the state's Water Resources Control Board. The state doesn't actually track how much water is bottled there. The International Bottled Water Association says that about 3.1 billion gallons of water are bottled in California annually. Nestle, for example, uses 725 million gallons of water annually at its California bottling plants. But that volume is dwarfed by the 4 trillion, (with a "t,") gallons used by residents every year. Those figures don't include the biggest users in California: farmers. Agricultural use accounts for about 80% annually. Still, people are angry that companies continue to bottle water during the fourth year of the drought, making money off of it. Meanwhile the governor has imposed mandatory water restrictions on residents for the first time in the state's history. Water districts must reduce the amount customers use by an average of 25%, or face fines. 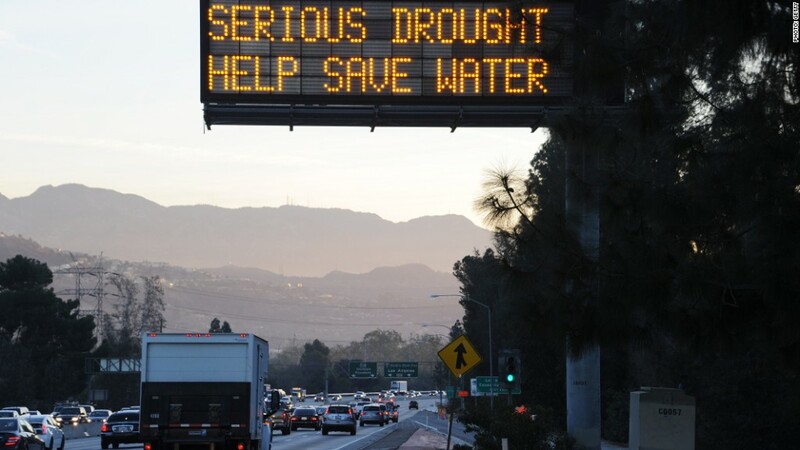 That means Californians need to pull back on watering their lawns. Nestle said it won't stop bottling water in California because, chiefly, "people need to drink water." The State Water Resources Control Board agrees. "We've determined that bottled water serves a good use, especially in drought-stricken areas where people's wells have gone dry," said spokeswoman Miryam Barajas. While the board implements regulations on residents, it doesn't regulate bottled water companies, which collect surface water, pump water from the ground, or buy water from local providers. In some areas, bottlers don't need any kind of approval to use ground water. Nestle, as well as Pepsi and Coke, say that they are conserving water by making their plants more efficient. Starbucks (SBUX) did bow to public pressure, and said it would stop producing its Ethos bottled water in the state. It's moving those operations to Pennsylvania in the next six months. Even if every bottling company moved out, that wouldn't solve the drought. But that doesn't mean it wouldn't have an impact at the local level, said Peter Gleick, president of the environmental think tank called the Pacific Institute. "We're in a really bad drought," he said, "and it's reasonable to take a look at all water uses."